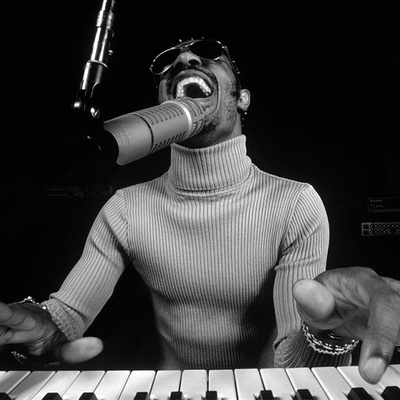 Stevland Hardaway Morris (born May 13, 1950 in Saginaw, Michigan), better known as Stevie Wonder, is a Grammy Award winning singer-songwriter, multi-instrumentalist, record producer and activist. Blind nearly from birth, Wonder signed with Motown Records at the age of eleven, and continues to perform and record for Motown to this day. He has recorded more than thirty U.S. top ten hits and has received twenty-two Grammy Awards, the most ever given to a male solo artist.